I would like to take the opportunity to welcome you to Melbourne, for the 2019 Robert Guerin Memorial Annual Trainees Meeting. Melbourne Australia, long heralded the most liveable city in the world, is a vibrant and eclectic melting pot of culture, fashion, fine dining and night life. A bustling cafe culture also ensures that you're never too far from a welcoming barista serving up some of the worlds best coffee. This years venue is the newly refurbished, iconic Pullman on the Park, situated in East Melbourne with breathtaking views of the iconic MCG, Melbourne Park and beautiful Fitzroy Gardens. The annual trainee meeting has long been a staple fixture in the annual academic calendar, a tradition reflective of our commitment to training and education. For this year's meeting we have made a few changes in an effort towards improving the relevance to trainees of varied seniority, while still providing a broad syllabus and enthusiastic sub-specialised faculty. A day of split sessions will allow trainees a choice in directing their own learning, while all lectures will be made available online after the meeting concludes. There will also be a pre-conference temporal bone course run at the Royal Australian College of Surgeons. And finally, as always, there will be a lively and spirited social program where you can share your experiences with other trainees. Hari Jeyarajan is a Melbourne trained ENT Surgeon with over 2 years of additional subspecialty training in both the UK and USA. He graduated from Monash Medical School with honours in 2005, after which he began basic surgical training. He then commenced ENT training in Melbourne, obtaining his fellowship with the Royal Australasian College of Surgeons in 2013. Bing Teh is a Melbourne trained ENT surgeon who obtained her FRACS last year. She is currently based in multiple public hospitals in Melbourne. She is passionate about teaching, education and research. This year’s extended program has been designed to deliver sessions tailored to different SET levels, including a full day on Sunday 28th July. The mock examination will be held on Sunday morning – registration for the mock exam is compulsory and is included in the registration process. A pre-conference Accredited Cadaveric Temporal Bone course has been arranged prior to the RGMATM. We are pleased to announce that the Garnett Passe Rodney Williams Memorial Foundation (GPRWMF) have offered an annual prize for the best adjudged trainee research. The inaugural prize will be presented at this year’s Meeting. The prize will comprise of a GPRWMF Certificate, free registration and an opportunity to present as a speaker at the next Frontiers Meeting in 2020. Smith & Nephew is a global medical technology company with a focus on repairing and healing the human body. A minimally invasive, low thermal technology for effective dissection and removal of tissue. RAPID RHINO epistaxis tamponades, postoperative packs and dissolvable dressings and Sinus instrumentation. RAPID RHINO Products are characterized by a proprietary blend of CMC, or carboxymethylcellulose, a plant-derived material. Founded by Kerry Lawford and Jon Mills, LMT Surgical is proud to be an Australian-owned Company. LMT Surgical provides innovative medical technologies and exceptional customer service throughout Australia and New Zealand. LMT takes pride in supporting surgeons with a product range comprising of Orthopaedic, Neurosurgical, Spine, Plastics, ENT and Surgical Instrumentation specialties to the benefit of the patient and healthcare industry. LMT Surgical focuses on building solid relationships with surgeons and nurses alike while maintaining it's core values. 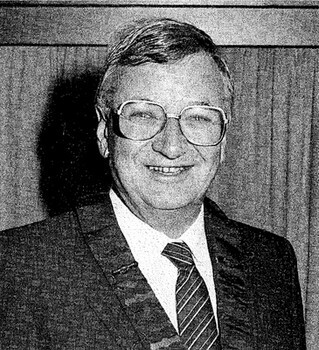 The meeting is named in honour of Dr Robert Guerin, an Adelaide otolaryngologist and past President of ASOHNS (1991 - 1993). Dr Guerin was the convener for the inaugural trainee meeting held in Adelaide in 1990. He was a great contributor to the OHNS specialty and a dedicated teacher who promoted the specialty both locally and internationally. Dr Guerin’s list of accomplishments was long and impressive. He obtained Fellowships to both the Edinburgh and English Royal College of Surgeons as well as the Royal Australasian College of Surgeons. His training included appointments at St Mary’s Hospital, London and Radcliffe Infirmary in Oxford. In 2003 the Council of ASOHNS named the Annual Registrars Conference in acknowledgement of the valuable contributions made by Dr Guerin in establishing and developing the conference.